The iconic Nokia 3310 is back! 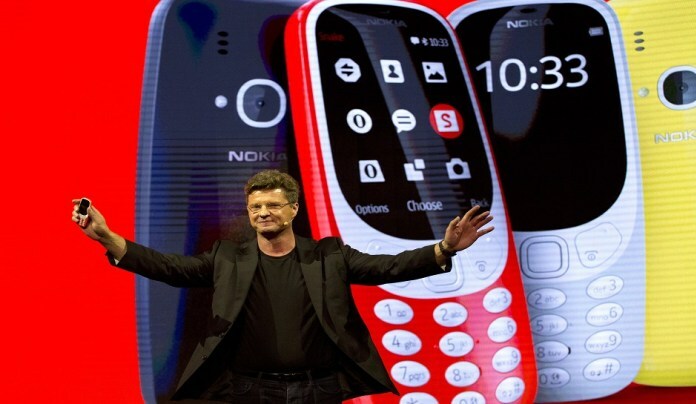 A refreshed version of the Nokia 3310 phone was unveiled at the Mobile World Congress in Barcelona on Sunday. Launched in September 2000, Nokia’s iconic 3310 phone sold more than 120 million units worldwide before it was discontinued in 2005, making it one of the World’s best-selling feature phones. 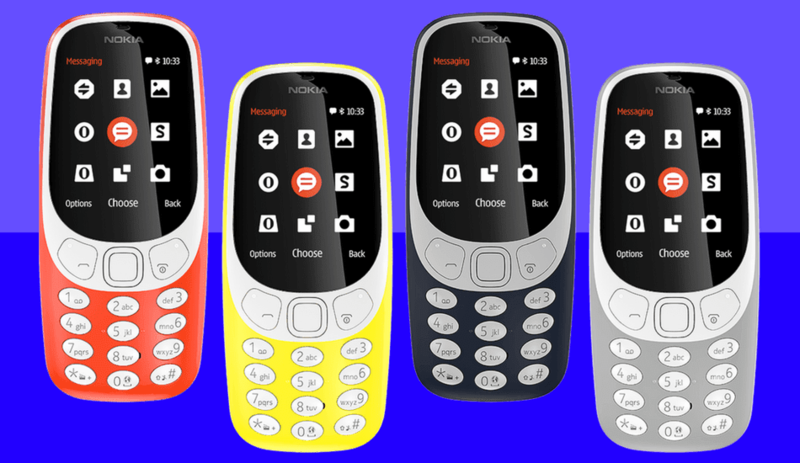 The new Nokia 3310 phone has been unveiled by HMD Global, a Finland-based company which bought the rights to the Nokia brand last year. The new version of the Nokia 3310 is still very much a feature phone with an improved design, coloured screen, and customized user interface. It features a 2.4-inch (320 x 220 pixels) QGVA colour Display. The curved screen is designed for better readability in the outdoor conditions. Unlike the original, the new Nokia 3310 comes with a 2-megapixel Rear camera with LED flash and 16MB of inbuilt-storage which can be further expandable up to 32GB via microSD card. The company has even included a modern snake game on the phone just to play on the nostalgia. It packs a 1200mAh Li-ion removable battery that can last almost month on standby & offers 22 hours of talktime. It comes pre-loaded with Opera mini for basic web browsing through a 2.5G connection. Other connectivity options include a 3.5mm headphone jack, microUSB 2.0 port and Bluetooth 3.0 with Nokia SLAM technology. HMD says that the new Nokia 3310 phone will be as durable as the old one while being two times slimmer and with a much bigger battery. Tragically for selfie lovers, there is no front camera on the phone. 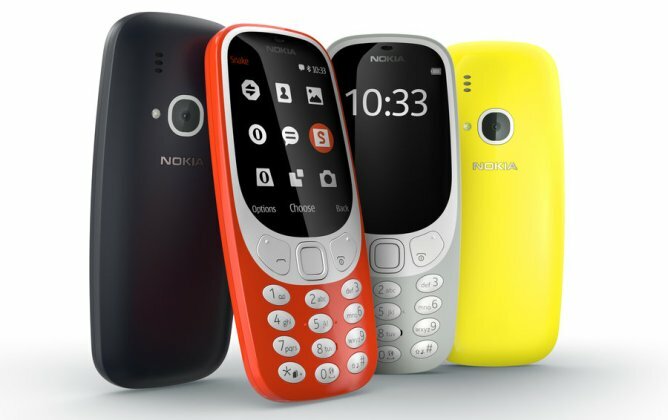 The new Nokia 3310 will be available in Warm Red and Yellow colour with a Glossy finish while the Grey and Dark Blue colour come with Matte finish. The phone will cost about 49 Euros (around $51 / £41 / Rs. 3,500) when released in the second quarter of 2017. In addition to the new 3310, HMD has unveiled three new Android-based smartphones, the Nokia 3, Nokia 5 & Nokia 6. The Nokia 6 smartphone is already available for purchase in China and will now go on sale globally. Let us know what you think in the comments section below. Stay tuned on Android World for more tech news and updates!